-Drive up on to the highest continuous paved highway in the United States. Amazing views of mountains and alpine tundra, an ecosystem similar to that found in the arctic tundra with unique animals and plants. -4 trails leave Bear lake in multiple directions to access different alpine lakes, all of which are outstanding. Several lakes are only .5 miles away, some are up to 5 miles away. -Its a Colorado tradition to climb a peak over 14,000 ft tall. -The trails goes through 3 distinct ecosystems and passes various unique formations. -People who want an easier hike can go half-way to Chasm Lake and still enjoy the views. Sombrero Ranch Guided Horse Rides w/ Breakfast! -Walk around the cool shops in downtown, stop for dinner at some cool restaurant! -See Estes Park from 1,000 ft up! Edit ta Ftiafpi: There were two activity 7s, fixed. Irayo for researching the bits and bobs above. Activities 2, 5, 6 and the two 7s look like they would have most appeal to everyone. I quite like the idea of going on a bike ride, but I'm not sure everyone can ride a bike, so possibly not accessible to everyone. Maybe we could pool together the ones we think are a goer for everyone to join in and then post the list out there for people to decide and then we can pick the top 4(?) to go ahead and organise/write into the activity programme for the event? Irayo for researching the bits and bobs above. No prob, it wasn't research, more personal experience. I can personally testify that all of these are great options. Oh and activity 1 is a must if we can get transportation. No hiking necessary and its the best location I listed for views and experience. No worries. I do far more numpty things than that! Hehehe. 7b (What is this, a Harry Potter movie?) was fun when we did it last time. I propose we move this thread out to the public forum. Thoughts? These are very nice activities! If I could, I would go with you and bring my camera. To make things clear, none of these activities are set in stone, they are just suggestions at this point and we would like to hear what everyone's preferences are, and if someone has an idea for an activity that is not listed above feel free to mention it. ... or propose your own ideas! It's a community event after all. I love 1 2 4 7 8. I also love golf, disc golf, swimming, volunteering (hell yea! ), night hike (they're the best), and 4x4 tours. Honestly these all sound amazing. Though, I worry about the 14k mountain hike. I'd work up to it if that was a thing people wanted to do and not have too much of an issue. But I worry that people who may not be physically capable of such a hike might feel left out. For reference, at 14,000 feet you need supplemental oxygen to perform normally so this would not be a hike to be undertaken lightly. Dunno about supplemental oxygen, but at 14k, the partial pressure of O2 is 60% of sea level, so you will get winded very fast. Altitude sickness is a common ailment at 10k and above. ^That is something to consider since I live closer to the pa'li clans of the plains it all sounds great, the only thing that I would have issues with is biking as I have never learned to ride a bike and don't think I'll ever be able to master it. Oh yeah, you can get by at 14k but that's the point where pilots are required to have supplemental oxygen at all times so I consider that the limit of breathing normally. By "normally" I meant what you said, people could get winded easily and have altitude sickness. Just mentioned it to give people an idea of the difficulty involved in such a hike. I'm fine at 9,800 feet, starting to feel it at 10,500 feet, and definitely notice it at 11,00 feet. I have been actively working at getting back in shape, so this should help. I may try and hike Mount Rose (10,776 feet) before coming (If I am able to come. My chances of being able to come have decreased significantly ). 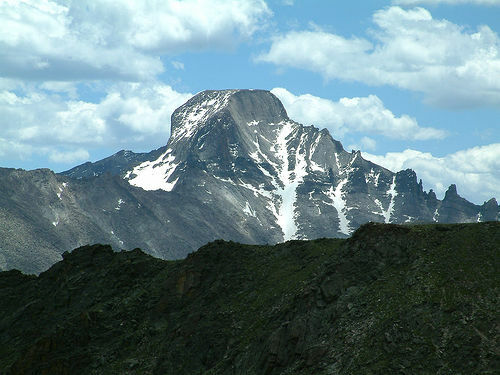 If we ever do Great Basin National Park, they have a 14,000 foot mountain to hike, Wheeler Peak. As these sorts of hikes go, this is fairly easy. They have some other hiking at around 10,000 feet, which I have done more than once, and thoroughly enjoy. It's an hour out from Estes Park in Fort Collins but this amazing looking old world, English-style tavern dedicated to table top games and craft beers should be open by then. EDIT: just throwing it out there, I understand it might not be worth it logistically, especially if not too many people are interested. I was born in Fort Collins and haven't been there in 22 years so I'm going there regardless of whether it's before, after, or during the meetup. I'll definitely have to check this place out and would love to do it during the meetup. Awesome, that makes two of us! I don't think I'll be staying after the meet up, but if you think you'd like to visit before/during we should put our heads together to work out some sort of cab/designated driver system. Yeah, next weekend I'm going to do the hard planning of ordering airline tickets and car rentals. I can definitely help coordinate driving.